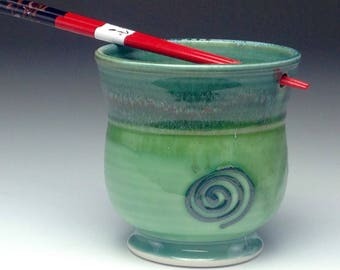 Announcement Welcome to the online shop for Odyssey Clayworks Gallery! Odyssey Clayworks is an educational ceramics studio in the heart of the River Arts District in Asheville, North Carolina. 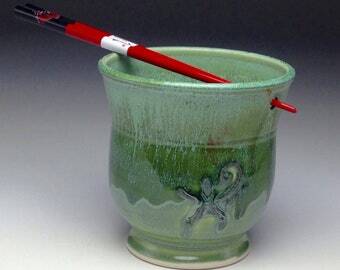 You will find amazing handmade pieces of pottery by our instructors and resident artists! 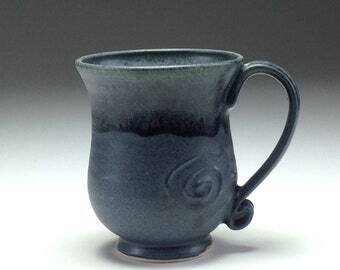 Welcome to the online shop for Odyssey Clayworks Gallery! 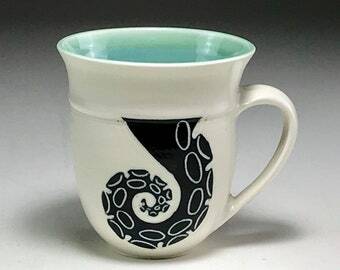 Odyssey Clayworks is an educational ceramics studio in the heart of the River Arts District in Asheville, North Carolina. 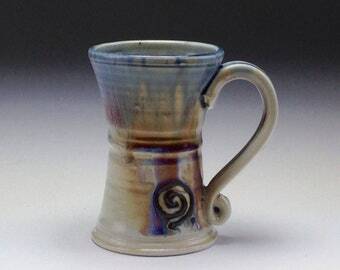 You will find amazing handmade pieces of pottery by our instructors and resident artists! Everything shipped promptly and was well-packaged. Love this artist's work and was so excited to receive these items! Gabriel Kline, owner of Odyssey, and Anja Bartels standing next to the five foot pot they threw together. Outside Odyssey on Clingman Ave in Asheville, NC. 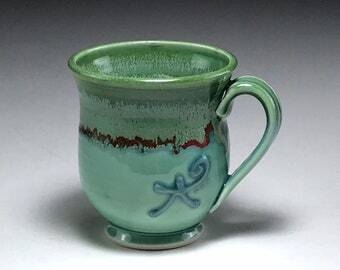 Please enjoy our handmade pieces here on Etsy from our resident artists and teachers! 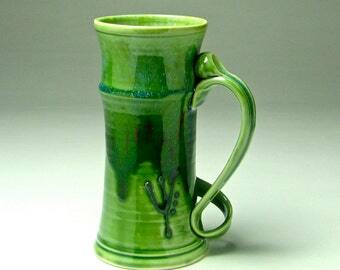 Owner and Director of Odyssey Clayworks, Gabriel Kline was born and raised in the hills of Pennsylvania. 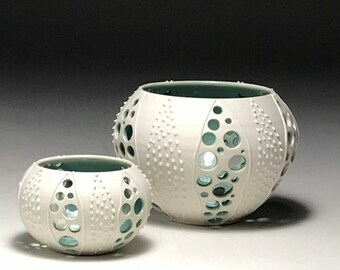 Gabriel studied pottery in Australia, the Caribbean and Maine before settling in the nationally recognized crafts community of Asheville, NC. 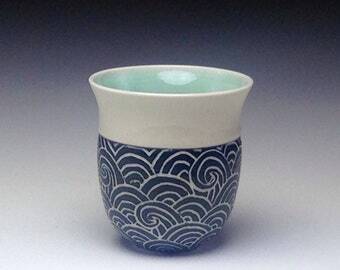 Anja Bartels is a journeyman potter with a passion for porcelain. 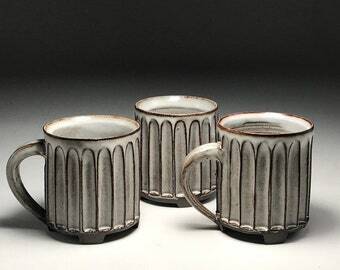 She moved to Asheville after completing an apprenticeship under the German guild system. Growing up in the North Sea was a key inspiration for Anja, and her love for marine life! Odyssey Resident Artists & Staff. 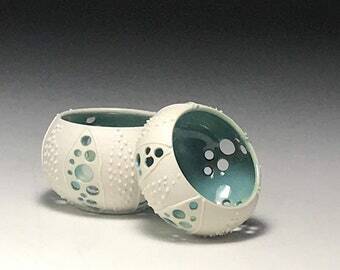 The Resident Artist Program offers a stimulating learning environment for advanced, self- directed students and recent graduates to experiment and explore their passion for clay. 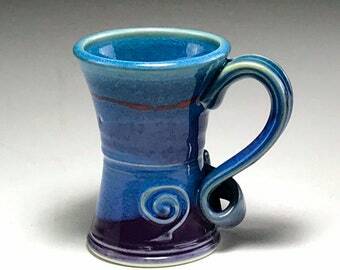 Welcome to Odyssey Clayworks gallery shop! Odyssey Clayworks is an educational ceramics studio in the heart of the River Arts District in Asheville, North Carolina. 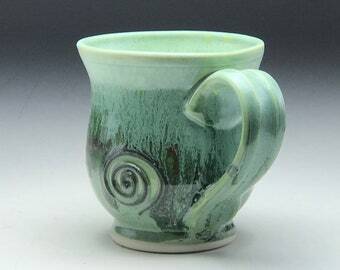 You will find amazing handmade pieces of pottery by our instructors and resident artists! We will happily refund you for any item you are not happy with. Please notify us right away and we will give you an address to ship your Item back to. Shipping not included in refund. We accept credit and debit cards, Etsy gift cards and other international payment methods where available, with Direct Checkout through ETSY. As soon as your payment clears we will pack up your lovely pieces, and ship within 3 days! We use USPS Priority Mail shipping on all domestic orders. We also combine shipping, which will be clear once items are in your cart. International shipping may take up to 3 weeks for your item to arrive.